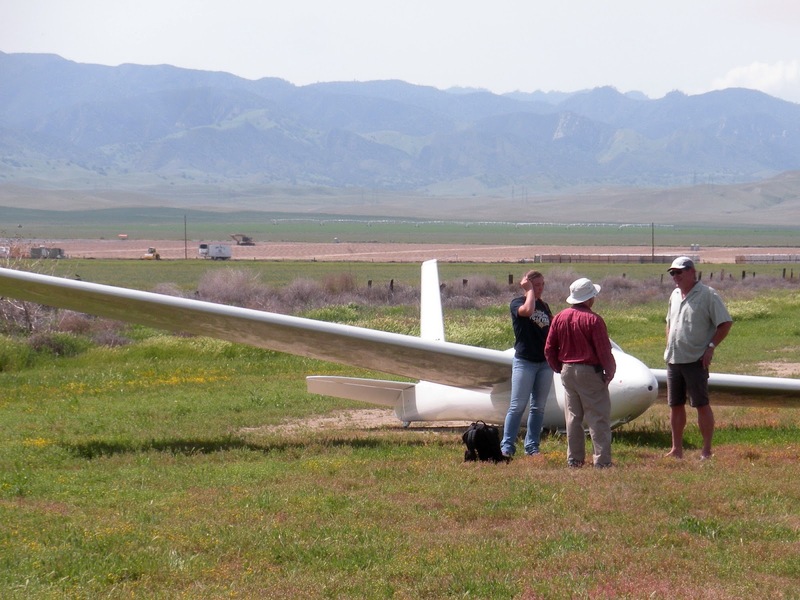 Central California Soaring Association: SATURDAY, March 19, 2016. 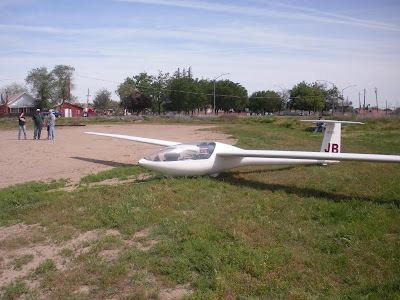 Big Bird Flies Again!!! SATURDAY, March 19, 2016. 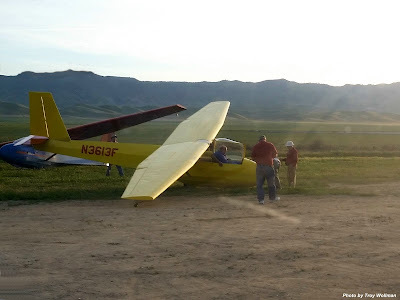 Big Bird Flies Again!!! Visibility: High cirrus but more than 40 miles vis below. Comment: New people, demo rides, beautiful day. Tow pilot: Yutaka Buto and Harold Gallagher shared 28 tows. Click on the photo for a large size and a slide show. A beautiful day, with some lift in the area that was enough to remain aloft for a few hours. Some of the high performance sailplanes headed for the cumulus clouds over the mountains but for the training flights, the best lift occurred just west of the field and around the soon-to-be solar farm. 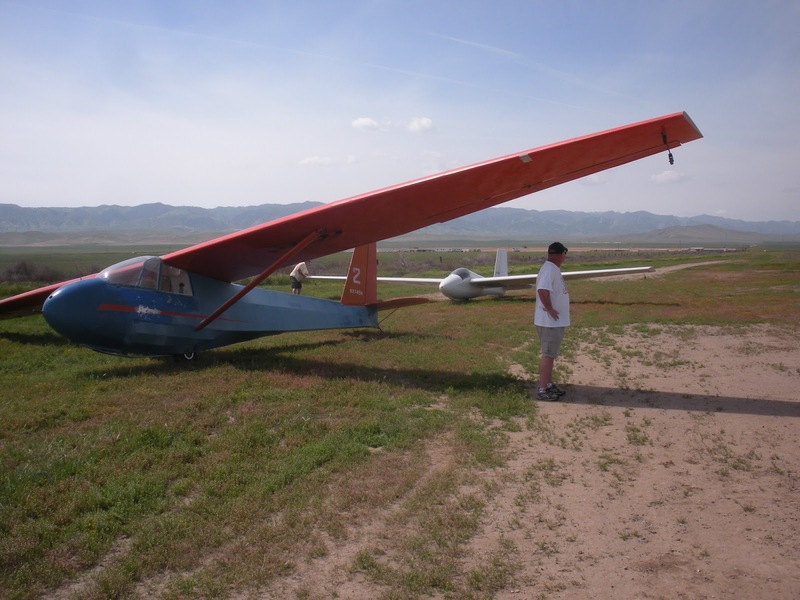 Rick Eason is going to fly the 1-26 for the first time after he got it painted so beautifully. 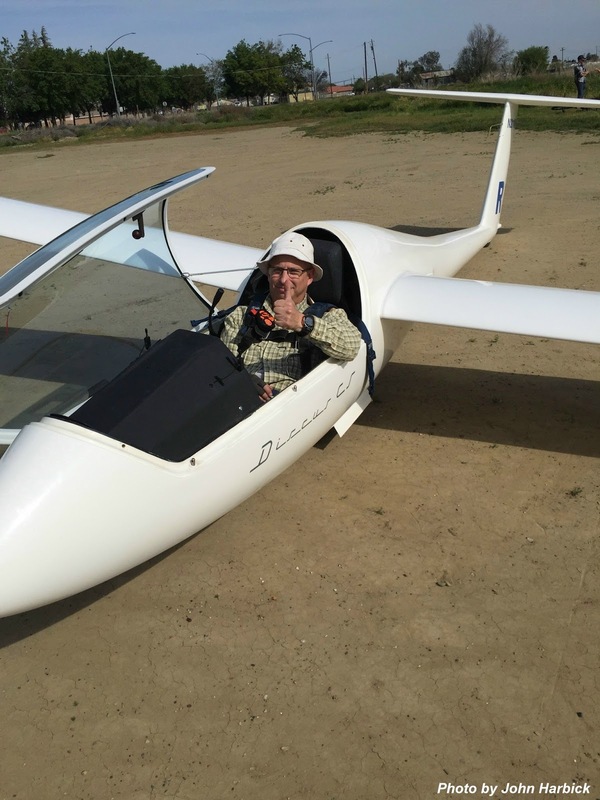 Last week Harry Davies set the record for the most flights in a short time and the reason he did that was evident today when he qualified to fly the DG100. 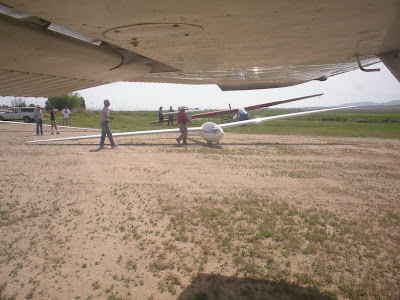 No PIO's on takeoff, smooth on tow, and after several flights I think he's hooked on the higher performance sailplanes. Harry Davies flights last week were rewarded today with his first flight in the DG100. Clark Woolf hasn't been out too often but his Grandpa, Allan Clark, to the left, brought him today. Rick Eason is camera shy but he was caught with his shorts up in this photo. Don Flinn and friend, to his right; Allan Clark, Clark Woolf, and Rick Eason. Clark Woolf flew today after being off for several months. We launched and his performance was nothing short of remarkable. From takeoff to landing he flew so well it was hard to believe he was even off one week. 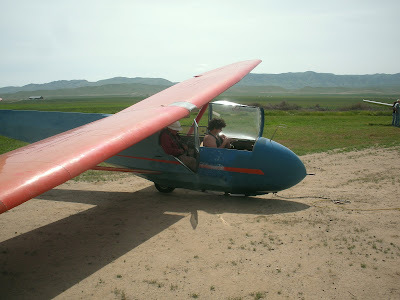 In fact I suggested his Mom had been taking him to another gliderport, getting lessons just to shock me with his performance. He said that wasn't the case but couldn't explain the high level at which he flew the Orange Crush. Good show Clark!!! Clark's second flight today wasn't as good as the first one. But that's the nature of the learning process. He'll rebound. Clark Woolf did his absolute best on his first tow after a few months away from Avenal. Harry Davies went through the correct routine in getting acquainted with the DG100. 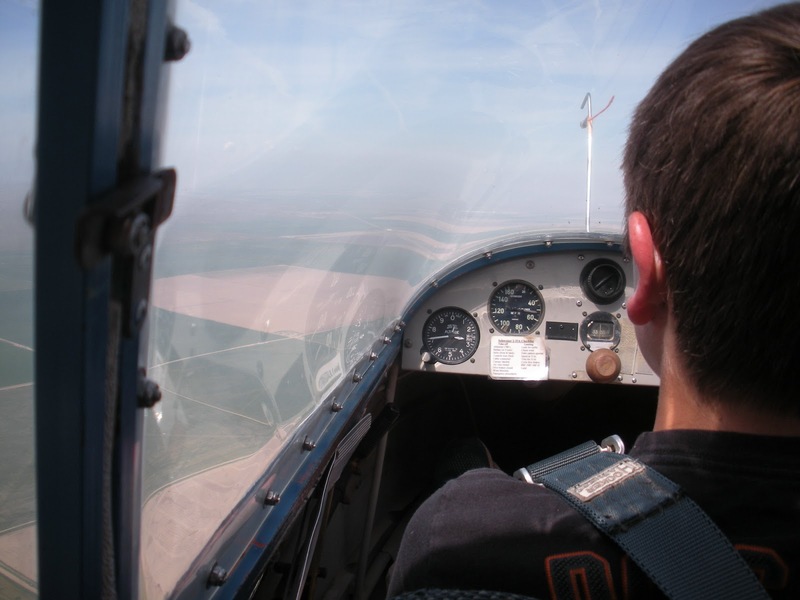 He helped with the assembly, then familiarized himself with all the cockpit controls, then got a cockpit checkout from Alex Caldwell, then launched after he felt himself completely ready. It showed on his performance. 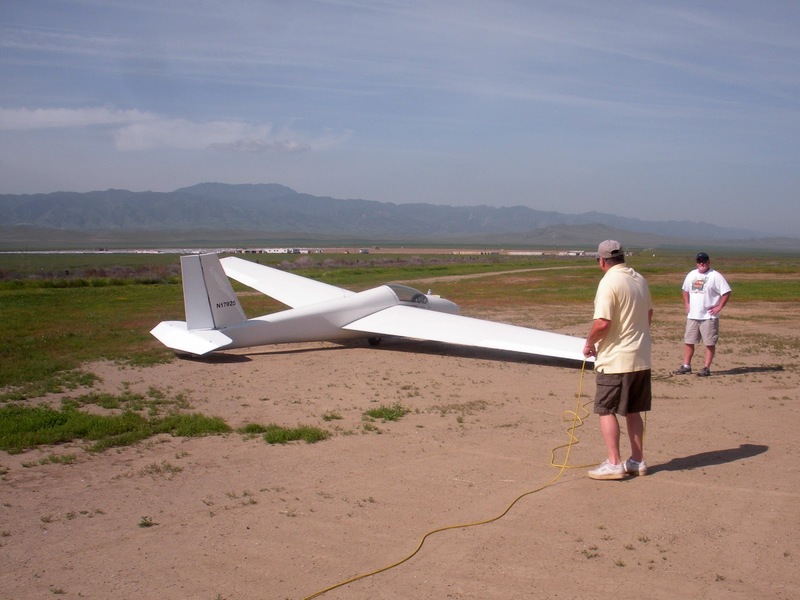 Alex Caldwell hooking up the DG100 for Harry Davies first flight in a high performance sailplane. Two ships waiting for pilots and they were soon filled to capacity. 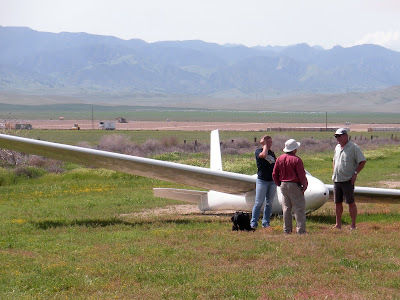 Harry Davies about to launch in the DG100 for his first flight in that very nice sailplane. Clark Woolf's second flight wasn't quite as good as the first one today. But it's a learning process. 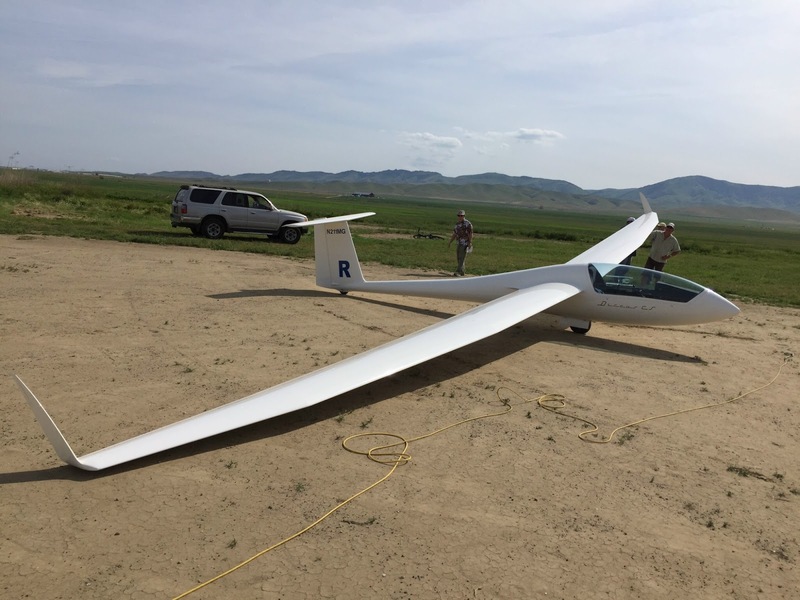 Ethan Ronat is assembling his "new" glider bought recently from Steve Schery. In the background note the work being done on Big Bird. 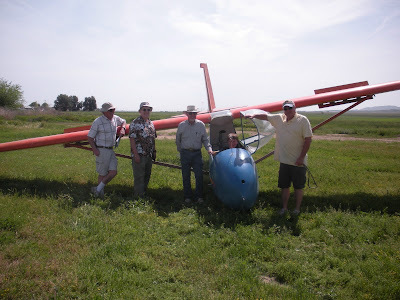 The question, "Will it fly today"? 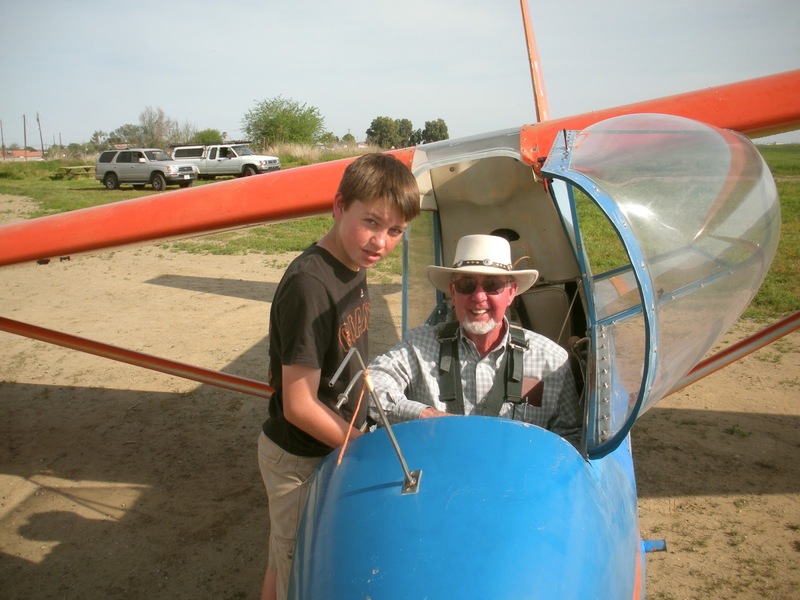 Troy Wollman has been flying regularly since he started at Avenal. 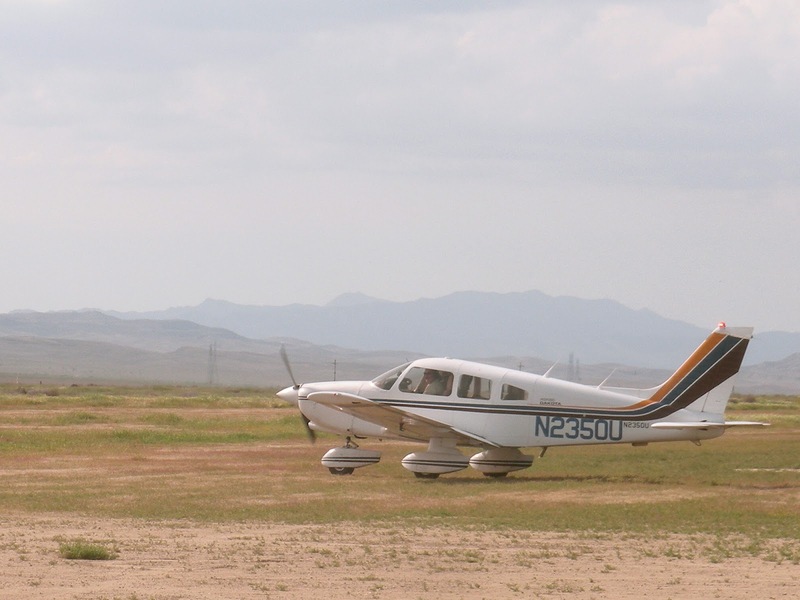 He has successfully achieved the number of solo flights in the 2-33 to be able to check out in the 1-26. 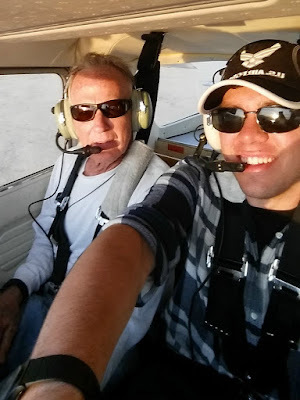 So, with no delay, he took and passed the solo written exam for the 1-26, then was thoroughly checked out in the cockpit, including the standard sight picture for the three pitch positions, and was very steady on takeoff, no PIO's recorded, and had a fun flight. 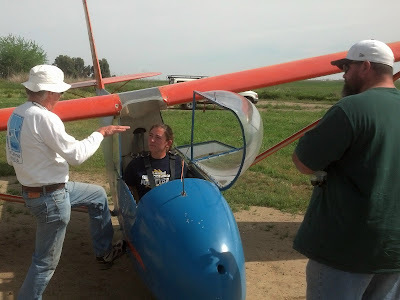 Troy Wollman taking his solo written test prior to checking out in the 1-26. He passed. You'll note John Harbick sitting across from Troy Wollman. 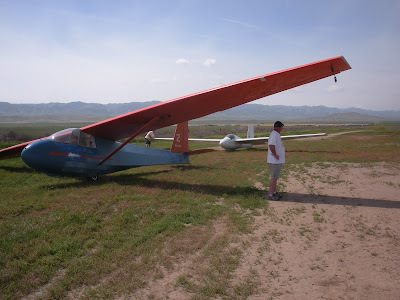 He will fly the Orange Crush shortly but the next time out he promises to let me check him out in the 1-26, a sailplane he's never flown since he's been in the CCSC. Let's make sure he gets in the air in that nice little sailplane. Next week for sure. 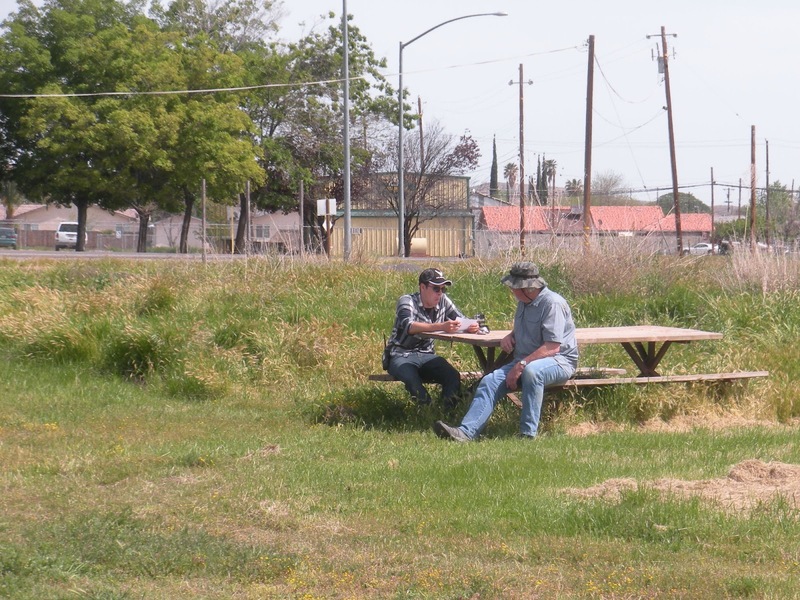 Kinslee Rix, Alex Caldwell, and Dwight Kroll chat about, what else? Soaring, of course. 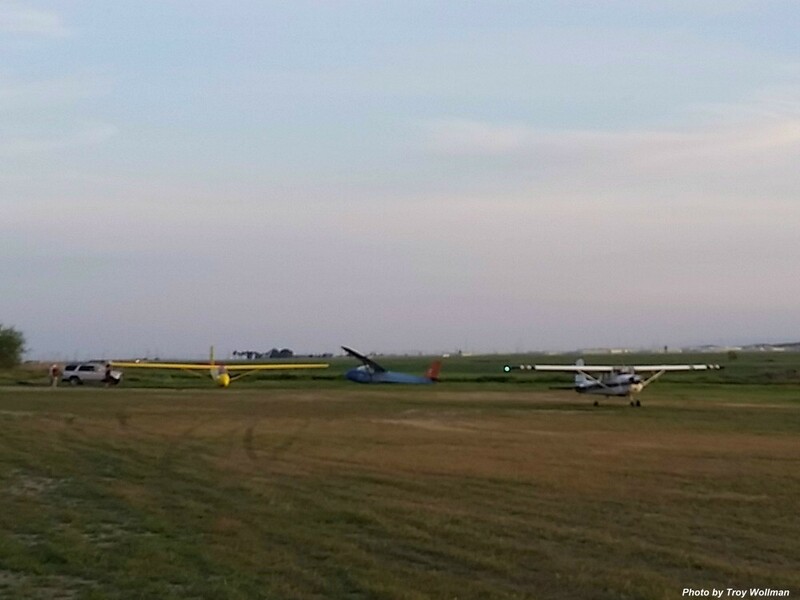 Sergio Grajeda and Alex Caldwell fly one to pattern before Sergio goes solo again. 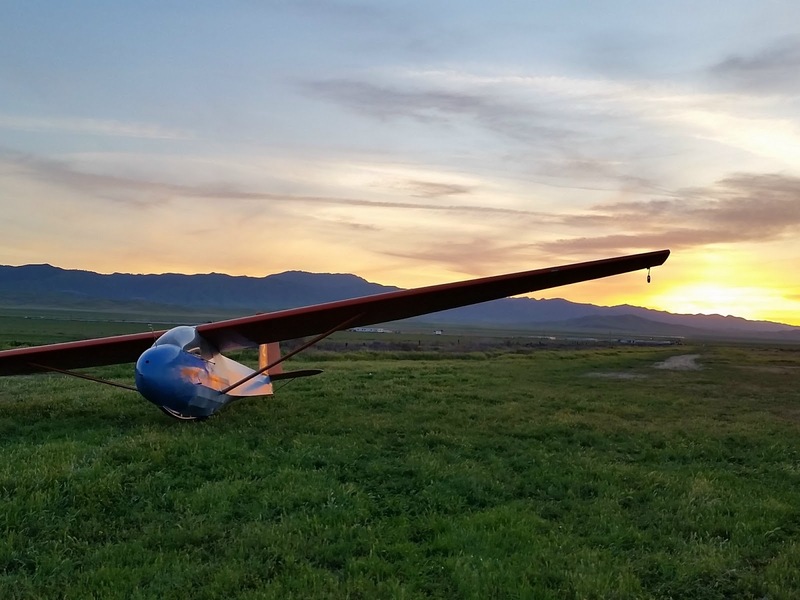 The 1-26 is really a great sailplane to fly, and with Rick's paint, a great one to look at. Ethan Ronat's newly purchased Discus CS. 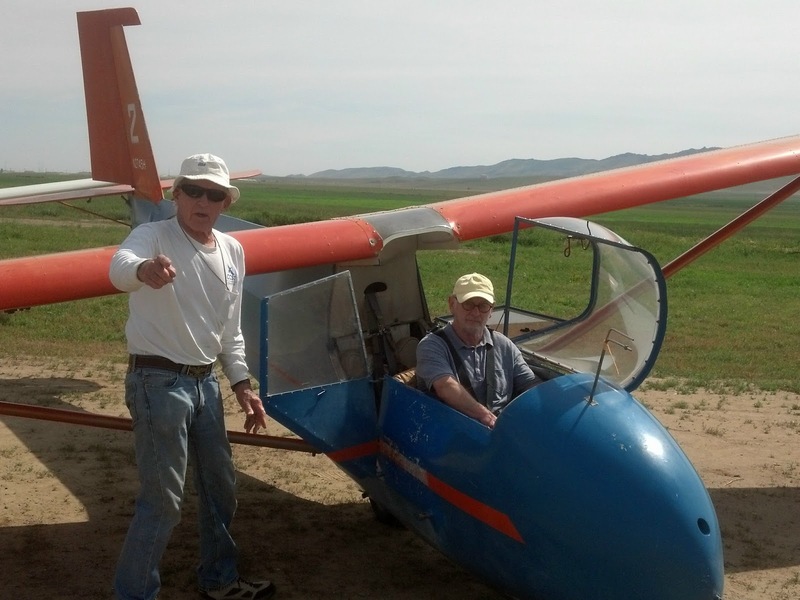 He's excited about owning and flying it. And here is Ethan Ronat about to fly his "new" bird, the Discus CS. Dwight Kroll's buddy, Bruce from Seattle, is a sailor and wanted to see what soaring is all about. 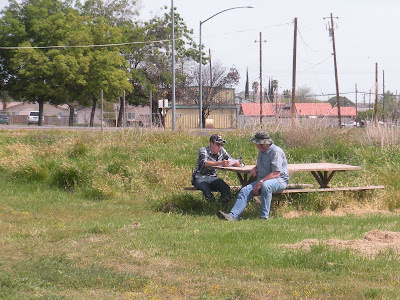 Since he lives in the Seattle area, Bruce looking around Avenal was a bit of a culture shock. 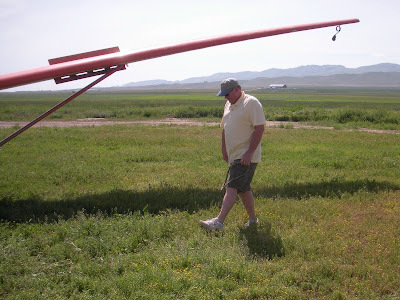 We launched and found a bit of lift but not enough to remain up there for an hour. 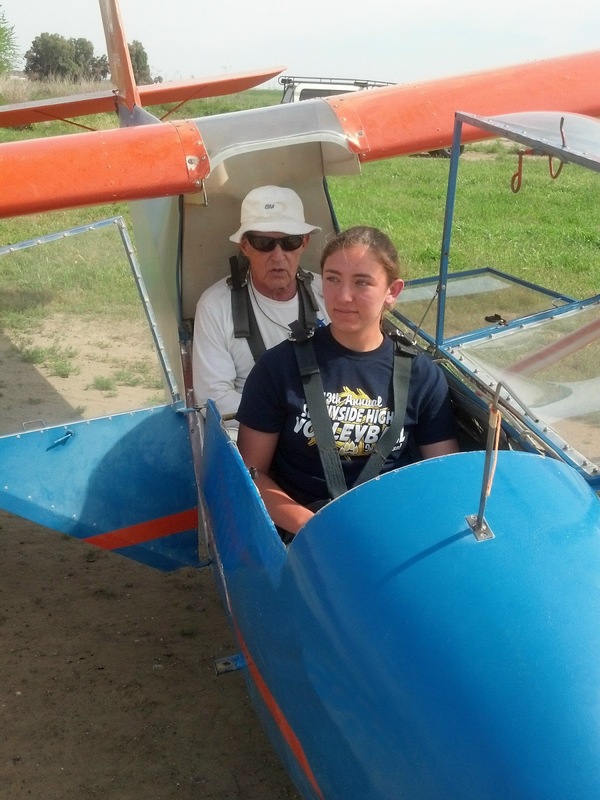 Kinslee Rix is headed for the Air Force Academy in the Fall and wanted to experience a glider flight. We had a great time aloft with plenty of lift that kept us up a bit longer than we should have. Dwight Kroll headed back to Fresno in his Dakota along with friends he brought to Avenal. The next story is pretty amazing. Clark Woolf's grandpa, Allan Clark, brought Clark to Avenal for his training flights and I learned that he had flown gliders in 1983. 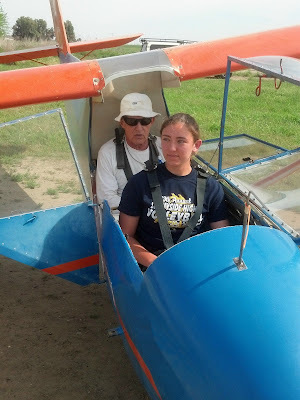 I suggested that depending on the schedule I could take him for a ride in the glider. What I didn't know was that Allan was going to take me for a ride in the glider. Can you imagine for a moment that, 33 years later, this fine gentleman still had enough skill left over to do the tow, do the necessary flight maneuvers, and land the glider successfully. Now that's memory I haven't seen in a long while. 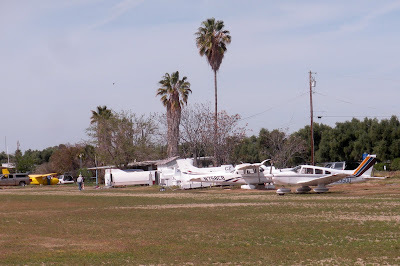 Allan, you've amazed me, and perhaps you'll take my advice and get your glider add-on rating before the final sale of your Bonanza. This amazing "young man" in the cockpit hasn't flown a glider for 33 years but you wouldn't know it. 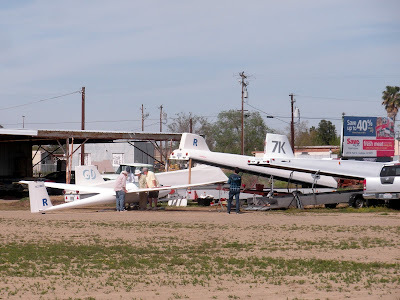 Somehow I missed Jan Zanutto's launch and flight, although I might actually have towed him aloft and didn't remember it with so many other tows today. 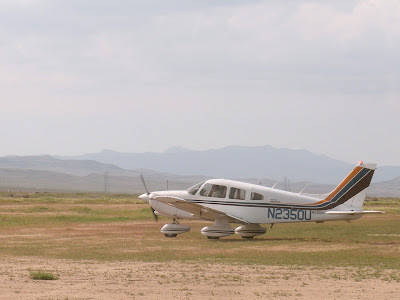 Anyway, he had a very good flight to 6200 msl and was up for 3.5 hours. 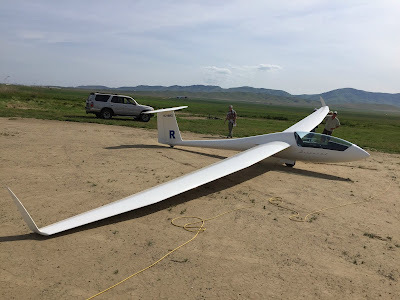 I believe that was tops for the day, although there were other high performance sailplanes aloft and they might have done as well. I haven't heard from others who flew fiberglass. 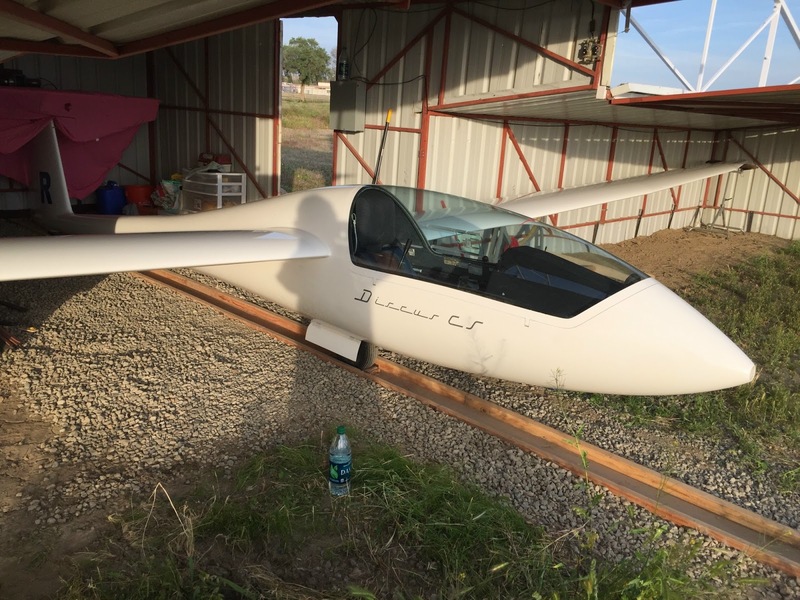 Ethan Ronat's new Discus CS is resting in his hangar after giving his owner a great flight. 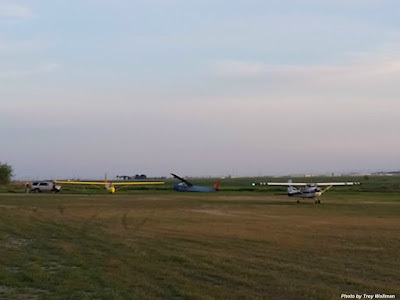 It was a fun day with new people given new glider experiences, new checkout rides, new high performance flights, new gliders, and a newly restored Big Bird. The last two tows of the day were Big Bird. The first flight was a planned flight to about two feet, releasing at the tow plane hangar and feeling all controls. 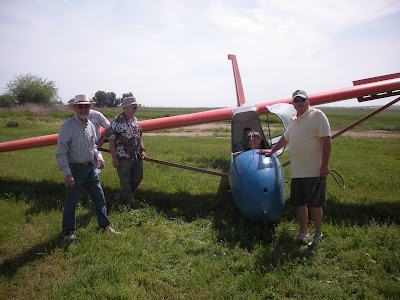 Second flight went up to 3400' MSL and wrung it out. I could only get it to "nibble at the stall," likely because of the CG being further forward than it would be for most pilots. Stall characteristics were about same as they have always been for me when solo. Did 60 degree bank 720 turns both directions, flew it from minimum controllable airspeed to 95 mph. 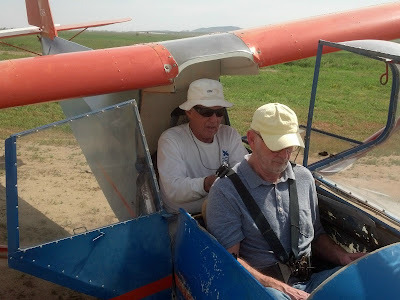 Controls are a little stiff due to paint in bushings under the floor, but in flight I cannot say it was noticeable. 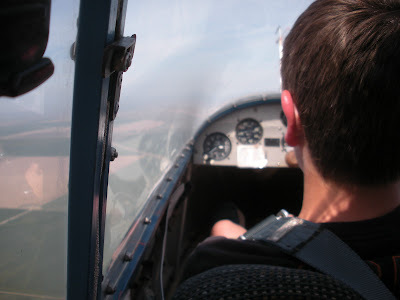 Was well behaved and a delight to fly! Logbook entry of the flight has been made. It is ready for you all to fly. Three upper rear interior panels (by the instructor's head) are not installed until we get new Dzus fasteners, as the new panels are too thick to use the old Dzus fasteners. Before the next flight the pilot's shoulder harness needs to be lengthened at the anchor end. A yaw string also needs to be installed. 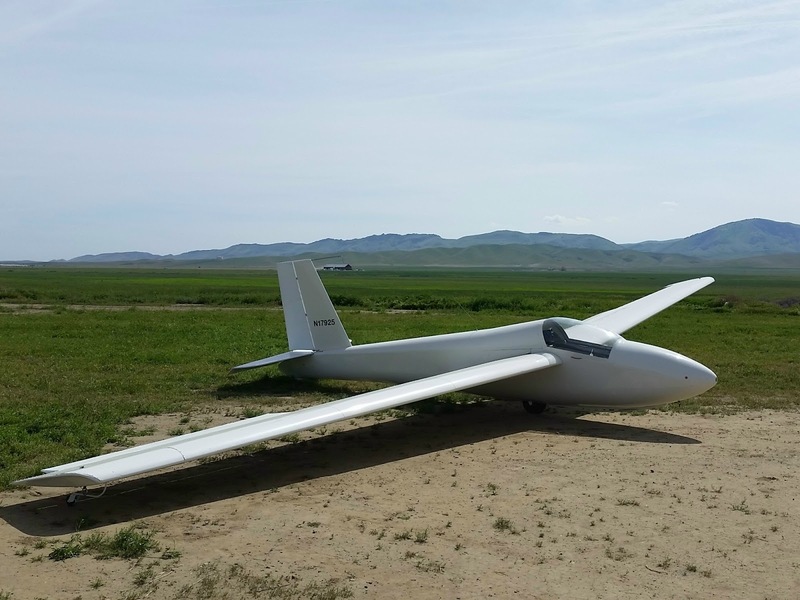 Note that the minimum solo pilot weight is 161 pounds WITHOUT the removable ballast and 127 pounds WITH the removable ballast. 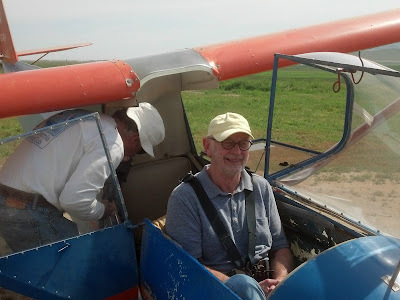 Jim Rickey in the cockpit of Big Bird, Martin Caskey standing by, as are someone and Alex Caldwell. Big Bird is ready to launch for the first time in maybe 16 months. Meanwhile, our dear downtrodden Orange Crush sits quietly in her old clothes at the end of the day, depressed. Troy Wollman getting some dual instruction in the art of towing gliders. Have a great day and hopefully we'll see you next weekend.